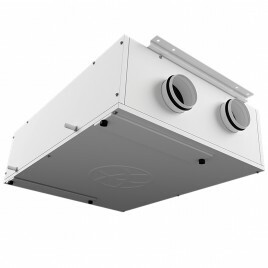 Heat Recovery Ventilation is a system which comprises a Heat Recovery Unit and a network of ducting which is connected to each room from a single unit, located ideally in the heated building envelope. This works by continuously extracting air from the wet rooms of the property and at the same time drawing in fresh supply air from outside. The heat from the extracted, stale air is recovered via a heat exchanger inside the heat recovery unit which is then reused to temper the filtered supply air for the habitable rooms such as living rooms and bedrooms. Up to 95% of the heat can be recovered. The Heat Recovery Unit runs continuously on trickle and is boosted when higher rates of ventilation are required e.g. bathing, cooking. In warmer months a summer by-pass function helps ensure comfort levels are maintained in the home. When summer by-pass is activated, the dwelling continues to be ventilated and receive fresh filtered air. However, the heat recovery process is intermittently switched off (heat recovery is by-passed). Heat Recovery Ventilation and its application in new homes has significantly grown over the last few years as the focus and improvements in airtightness are increased through Building Regulations e.g. ADL: Conservation of Fuel and Power. With 100% of ventilation needing to be provided through purposely installed systems, heat recovery offers major benefits to the building and occupants. 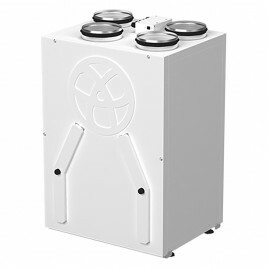 - Year round removal of condensation and indoor pollutants. - A direct impact on the Dwelling Emission Rate required in SAP, helping reduce the carbon footprint of the property. 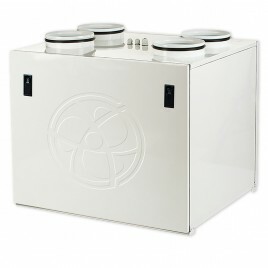 - Fresh filtered air supplied to dwelling, ideal for allergy sufferers and those with conditions such as asthma. 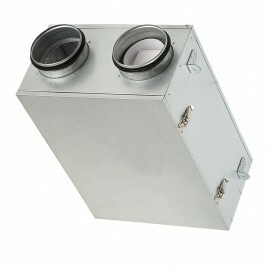 - A balanced ventilation system for the whole house and recovering of heat that would have otherwise have been lost. - Low noise, non-intrusive ventilation system – located away from the room, however consideration should be given to duct runs to ensure cross-talk contamination doesn’t happen AND the unit is sized correctly so it is not running a high rate all of the time. Consideration must be given to application in order that Guaranteed Installed Performance can be achieved effectively onsite. Following these three rules will ensure you choose the correct SIZE. - and it all starts with the 1) DESIGN. 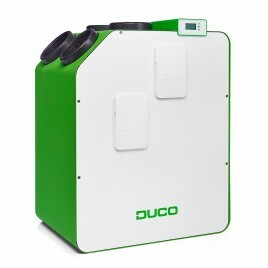 2)Heat recovery unit for your dwelling. An incorrectly sized unit will introduce noise to a property as it will have to work harder to deliver the Building Regulations requirements. 3) Size the unit based on Dwelling Design. Sizing the unit depends on total system pressure. 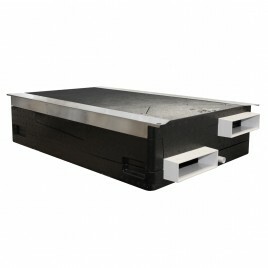 A system may easily provide the correct airflow at 0 pascals, however adding ducting causes resistance and this will reduce airflow Use the pressure curve provided with the product to determine whether it can perform in the location it is intended for Best Practice Guidelines not that a heat recovery unit should not run at above 60% of airflow capacity on trickle speed.